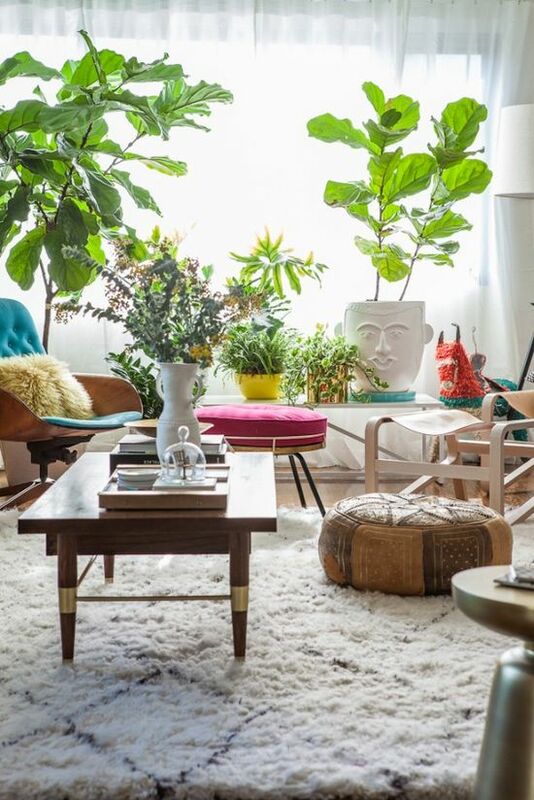 As a young adult, my main mode of decorating my living space was with plants. They were my little friends. I loved how alive they made a room look, and tending to them was so rewarding. Then I had babies. I discovered I couldn't tend to both babies and plants in an effective way, so the plants were either given away, or endured a slow death. styling an indoor garden video , she's just adorable, and I love her style. 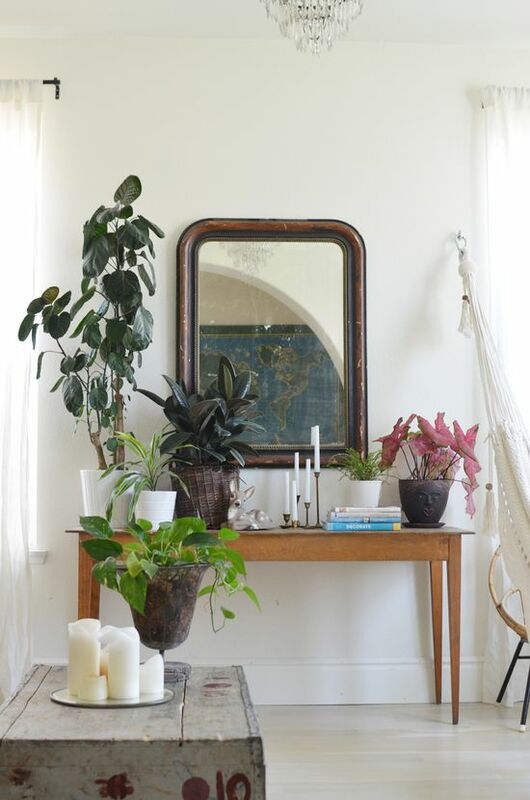 Rubyellen's home, as featured on A Beautiful Mess is also great inspiration to get some new green life into my home. 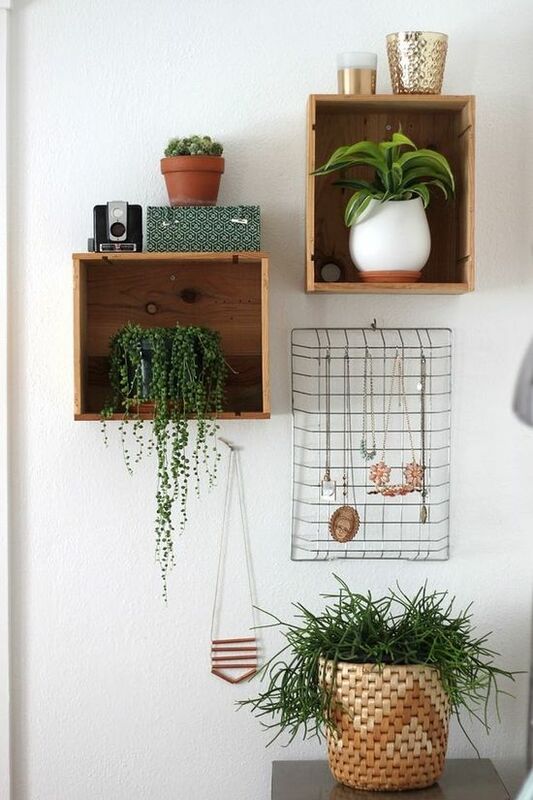 I just love how Rachel from Smile and Wave styles her home, and here she has a great collection of plants in her bedroom with wood and metal accents. 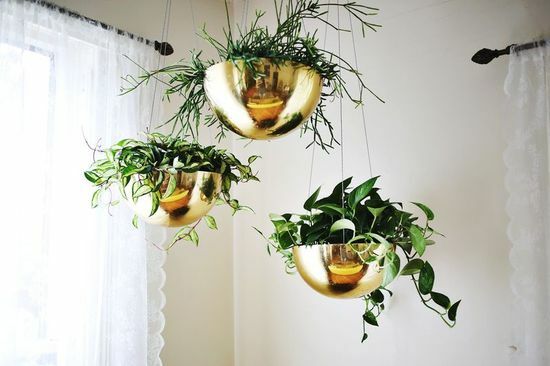 This trio of hanging plants is so shiny and fresh! Elsie has a whole how-to on how she made these vintage hanging bowls over at her blog A Beautiful Mess.